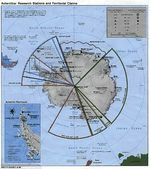 Antarctic surface temperature in winter and summer. 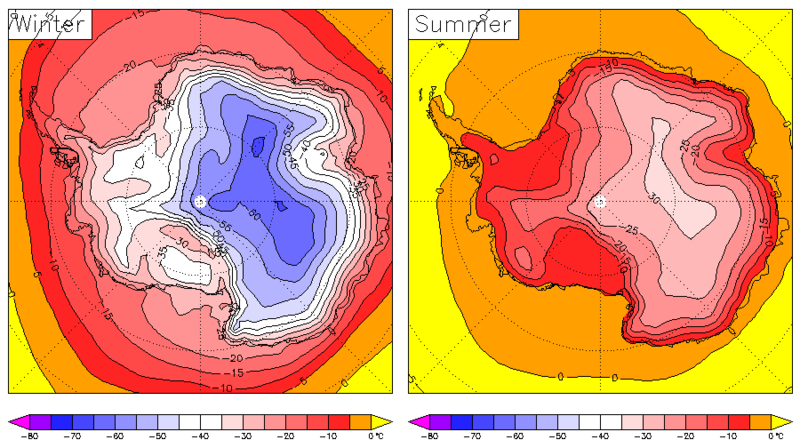 Data is the near-surface (1.5m) temperature from ECMWF 40 year reanalyses, for the period 1979-2001. There remain uncertainties in the values.